Optional Blower and Top or Back Vent. 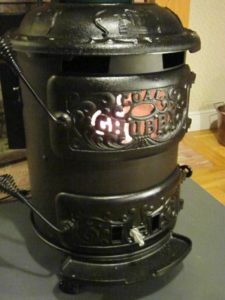 Top Vent comes with Oval to Round Cast Adapter when stove is purchased. Stove is available Top or Rear Vent; Radian or Blower models. Requires a 6″ Cast Iron Turn Damper.